According to Tewolde Mulugeta of Ethiopia’s Ministry of Foreign Affairs, the country's secret to preventing attacks is public involvement. Over the past five years, Kenya, Uganda, Djibouti and the self-declared republic of Somaliland have all been attacked by Somalia-based Al-Shabab militants. Ethiopia, which invaded Somalia in 2006 to fight Al-Shabab, has since evaded a large-scale attack. 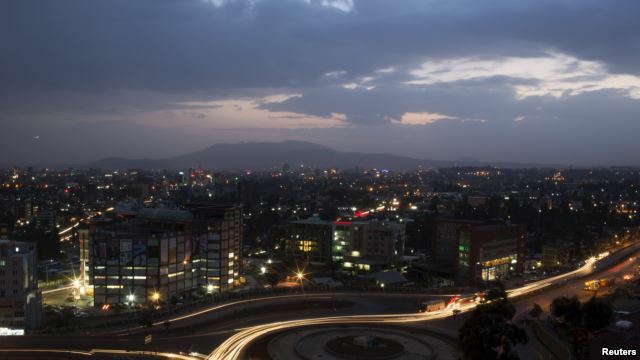 While it isn't clear how many prospective attacks Ethiopian security forces have prevented, one bomb did exploded inside a central Addis Ababa house in 2013. Police believe the attackers were preparing it for a large football match taking place that day. Although Ethiopia’s military is considered among the strongest in the region, independent security expert Sunday Okello says Ethiopian security forces are strong because Al-Shabab is just one of several threats to the country. Question about why neighboring countries such as Kenya, however, remain unanswered. Al-Shabab's highest profile attack — the September 2013 slaughter of 67 civilians in Nairobi's Westgate shopping mall — will be remembered this week, just months after an April attack claim 148 students at Kenya's Garissa University. One reason for al-Shabab's frequently succesful attacks in Kenya is due to it's Kenyan affliate, Al-Hijra. Ethiopian forces continue to fight al-Shabab in Somalia, working in conjunction with African Union troops. The AU troops have made significant gains but the militant group remains one of the biggest security threats to the East African region.